This on-site course is designed to train the novice, as well as the professional, on how to use Minitab software for statistical data analysis. At each stage of the training, the statistical theory is presented in a comprehensive way using real-life examples. Instructions using full color software screens clearly demonstrate how to use the software. Our 18 years of experience teaching in various industries and consulting in applied statistical methods, problem-solving, data analysis, and experimental design is now coupled with the use of Minitab. 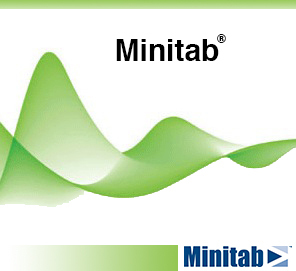 We give you the most powerful and efficient training in Minitab for statistical data analysis. We offer a choice of five, one-day courses to strengthen your analytical skill and help you master Minitab for statistical data analysis. Each course is typically one (1) full day. Duration: Typically 1 day each. The modules can be bundled to meet your needs. We take participants through lectures in which they learn the tools, methods, and concepts. Then, we expose them to the application of the tools to their own processes. This is by far the most efficient way to learn the application of statistical methods. ASC's experienced consultants can guide you, coach you and take you through implementation from beginning to end.